Last week the Japanese tyre maker entertained the world’s press at Spain’s Jerez Circuit, where they were able to push the tyre to it’s limits on a wide array of bikes. 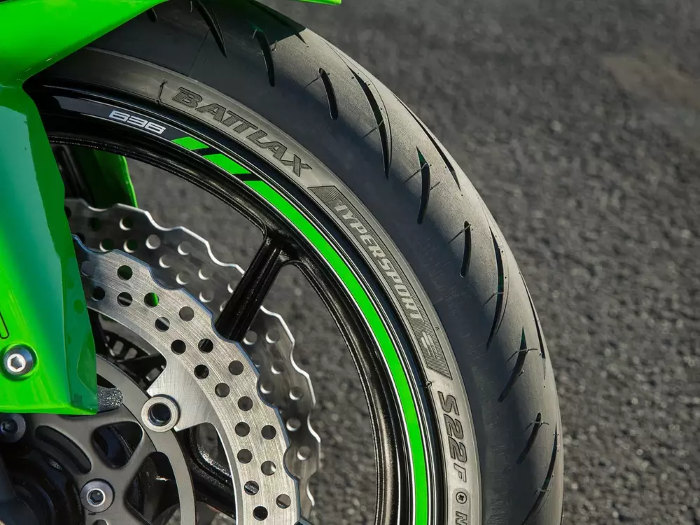 The biggest improvement over the Battlax S21 is the wet grip, with Bridgestone quoting 5% faster wet lap times at their Autopolis test track in Japan during testing. Riders got he opportunity to try them out on the latest KTM 1290 Super Duke R, BMW S1000RR and Suzuki GSX-R1000 to name just a few of the machines on offer. The Battlax S22 is designed for fast road riding, with the occasional track day thrown into the bargain if that’s your kind of thing. 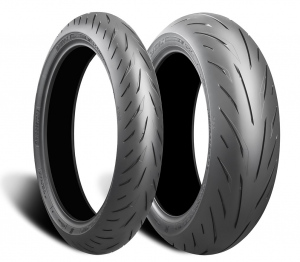 “If you’re a serious about your trackays, a stickier dedicated track tyre is the way to go, but it’s good to know the S22s have the performance to cope with almost anything you can throw at them. They warm up fast, even with no tyre warmers and wear consistently. “That is perhaps the most impressive trick up the S22′s sleeve – the versatility to be abused around a racetrack and still be fine on the ride to work the next day. The Battlax S22 range is now in stock, ready to ship to our trade customers.